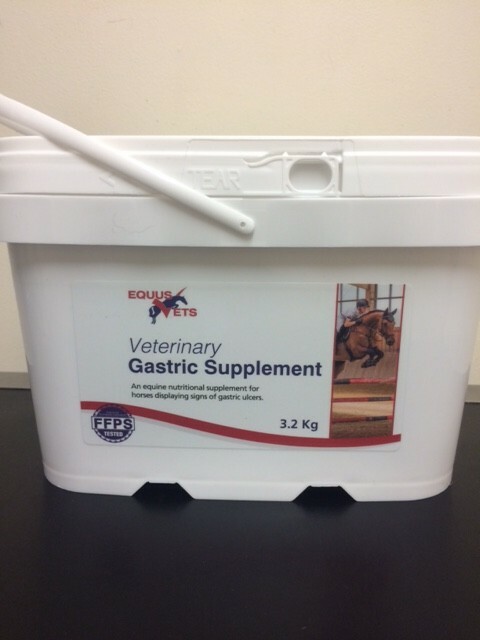 Equus Vets gastric supplement is a daily supplement for horses that are prone to gastric disturbances. This supplement can stimulate the maximum utilisation of feed, assist with maintaining gut health and function through a unique formulation of prebiotics, amino acids, seaweed extract and specific minerals. Presentation: 3.2kg tub or a 12kg tub. Ponies and foals: 50g per day it can be divided bewtween feeds. Horses: 100g per day divided between feeds. Equus Vets Gastric Supplement is competition legal.